Buy miles at up to a 140% bonus and redeem discounted awards up to 18 September 2018. LifeMiles holds frequent mileage sales which allow you to pick up miles at a discount. This is a great way of getting cheaper First/Business class award tickets on Star Alliance airlines, if you know what you’re doing and can find award space. It will take roughly 24 hours for the registration to take effect. After that, you should be able to see the increased bonus in your account when you purchase miles. You need to register by 17 September and purchase miles by 18 September 2018 to take advantage of this promotion. I’m guessing these are US timezones, so that gives those of us in Singapore a bit more leeway. However, I’d still register my account as soon as possible and decide later whether I wanted to buy. 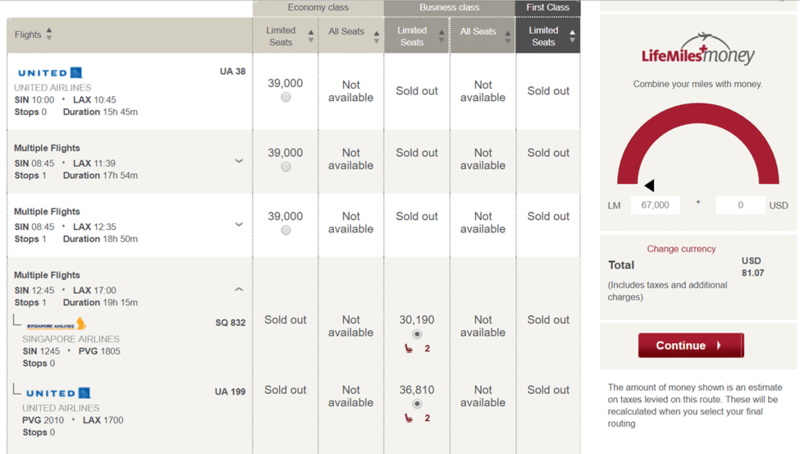 Here’s LifeMiles’ Star Alliance award chart. I fancy using LifeMiles for business and first class redemptions between Singapore and the USA, which price at 78,000 and 99,000 miles one-way (or US$1,053/US$1,337 if you purchase with a 140% bonus), although there is also good value to be found to Europe and Australia. LifeMiles does not impose fuel surcharges, so that adds further value to the program. LifeMiles is offering a further discount on certain award pairings for bookings made by 18 Sept 2018 (you can fly after this dates, just that your redemption must be done before the 18th). 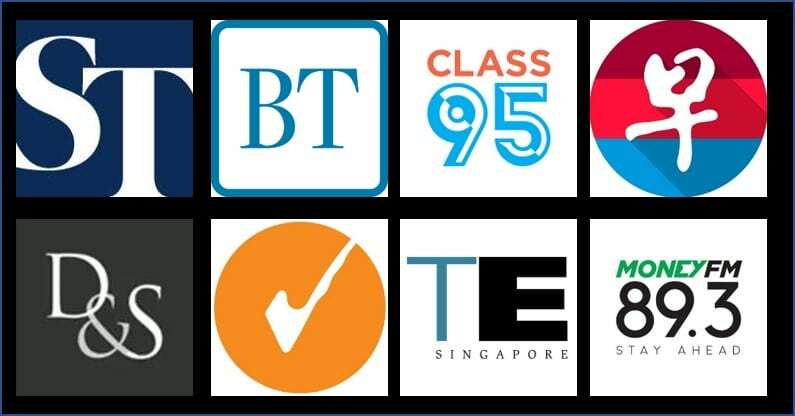 You can see the full list here, and here’s what’s available in and out of Singapore. Assuming you can find award space, then these are excellent prices. In the example below, you see how I can fly SIN-LAX with SIN-PVG on SQ (it’s a 777-200, so premium cabin award space is available to partners) and PVG-LAX on UA, for 67,000 miles + US$81 of taxes. The discount table lists SIN-ICN in First Class for 45,000 miles, which sounds great until you think about it- Singapore Airlines doesn’t open up first class award space to partner programs, and Asiana doesn’t operate First Class to Singapore. I suppose it might be possible to do a mixed cabin redemption booking with SIN-NRT on ANA First Class and NRT-ICN in Business Class (LifeMiles now supports mixed cabin bookings), if you can find that routing. In any case, you should confirm that the award space you want is available on LifeMiles first before purchasing any miles. Remember that LifeMiles cancellation fees have increased and you will need to call up the call centre to make any changes/cancellations to your ticket. What card should you use to purchase LifeMiles? Do I only see the discounted award redemption upon checkout? i can’t see it too. can’t see the discount. is it just for selected dates? Previous Entry How can Singaporeans skip the immigration queues overseas?